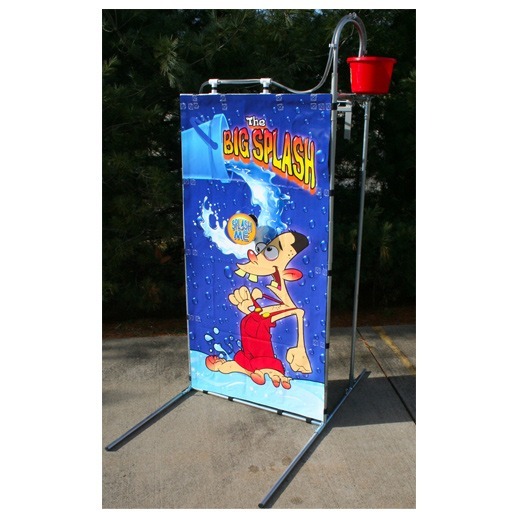 The Big Splash is a interactive water activity that is very similar to a dunk tank. Participants attempt to throw a ball at the target. If they are able to hit the target, a bucket full of water is released onto the head of a willing (or unwilling) participant. Just flip the lever and the bucket fills back up, making reset for the next pitcher easier than ever. 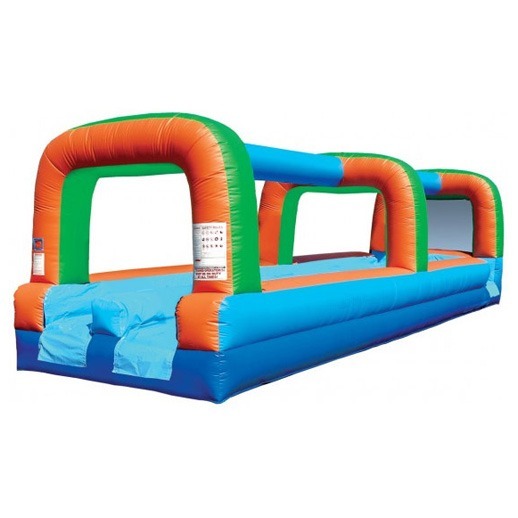 This water game is a great alternative to dunk tanks because there is no submersion of the victim. 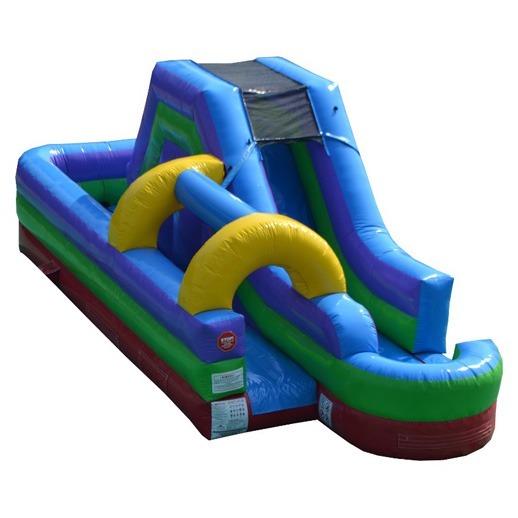 Many schools and insurance companies have limitations preventing the groups from renting a dunk tank due to the depth of the pool. 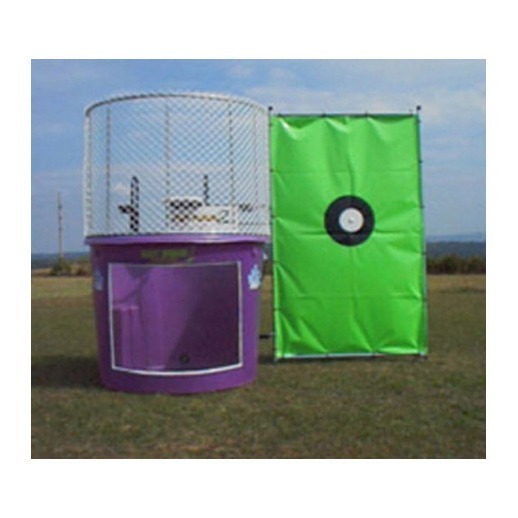 With the big splash, you get all of the dunk tank fun with none of the insurance liability! 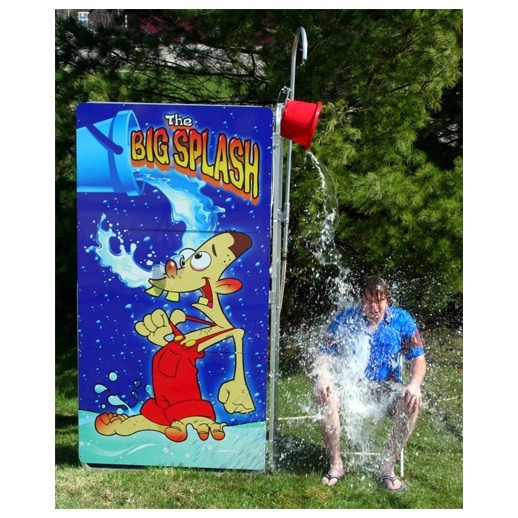 Many event groups use the big splash in the same ways as a dunk tank. In corporate settings, the water activity can be used as a morale booster, as you dunk your CEO or immediate manager. It can be a fun, safe way to let off some steam without getting fired. 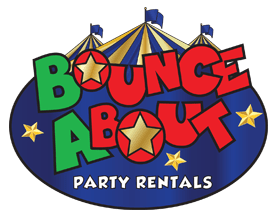 For schools and churches, the Big Splash can be used a fundraising activity, charging participants a few dollars for a ball, or 3 balls for 5 dollars. Choice of the water target is equally important in fund raising situations. Pick a popular teacher, the principal, or the pastor to raise the most possible money for your cause. The big splash does require constant access to a hose and water spigot, so make sure you choose a location within range.